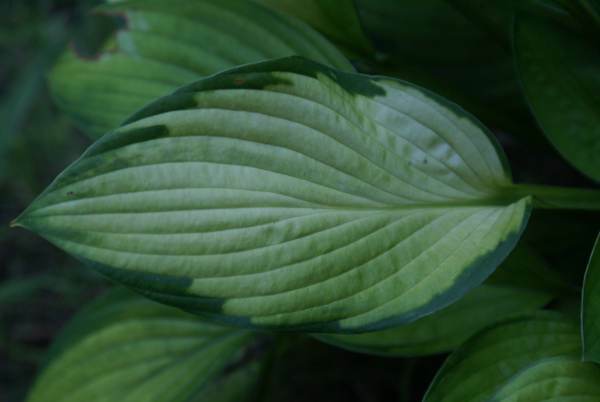 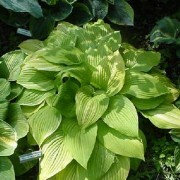 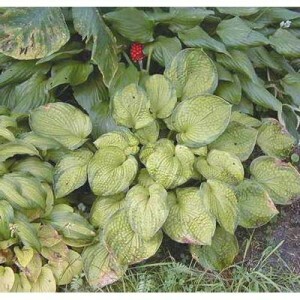 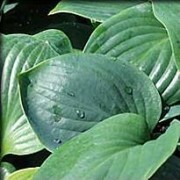 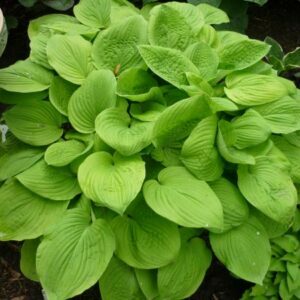 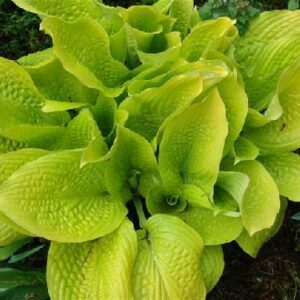 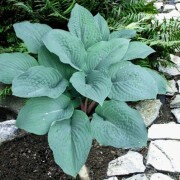 Alice in Wonderland’ Hosta is sweet medium hosta that has golden yellow leaves framed by a bright green border. 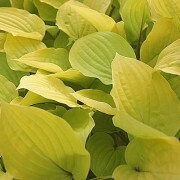 They hold their color well throughout the season. 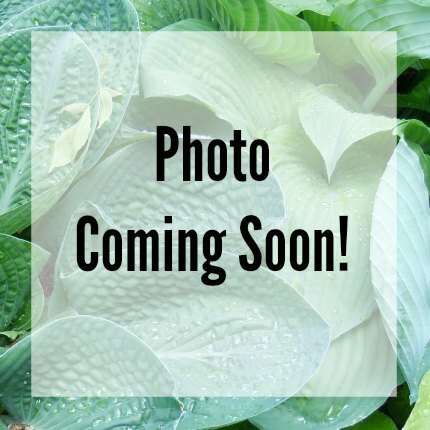 Topped with pale lavender flowers from mid June to early July.